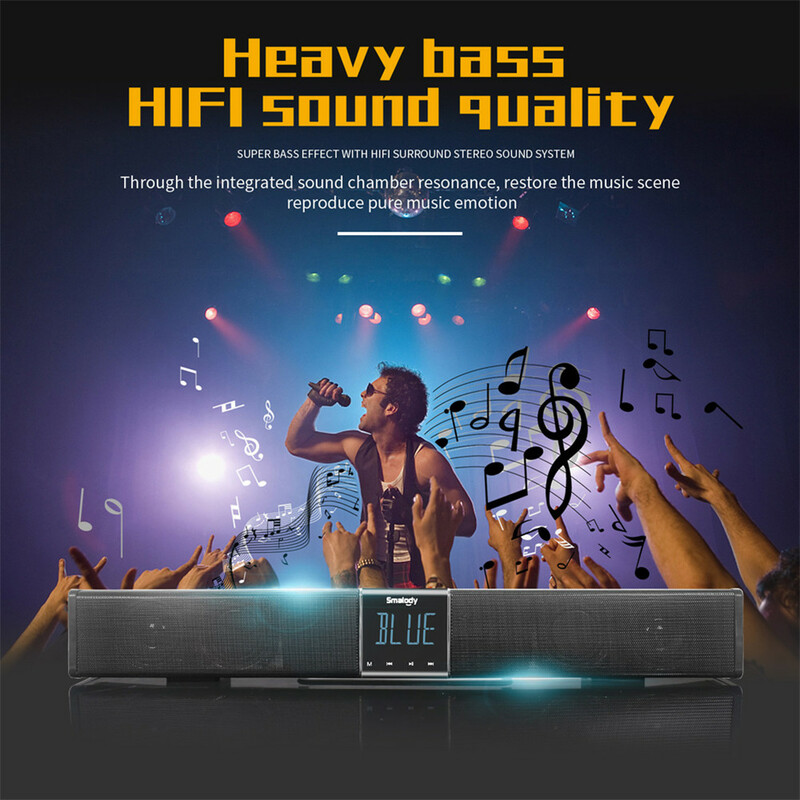 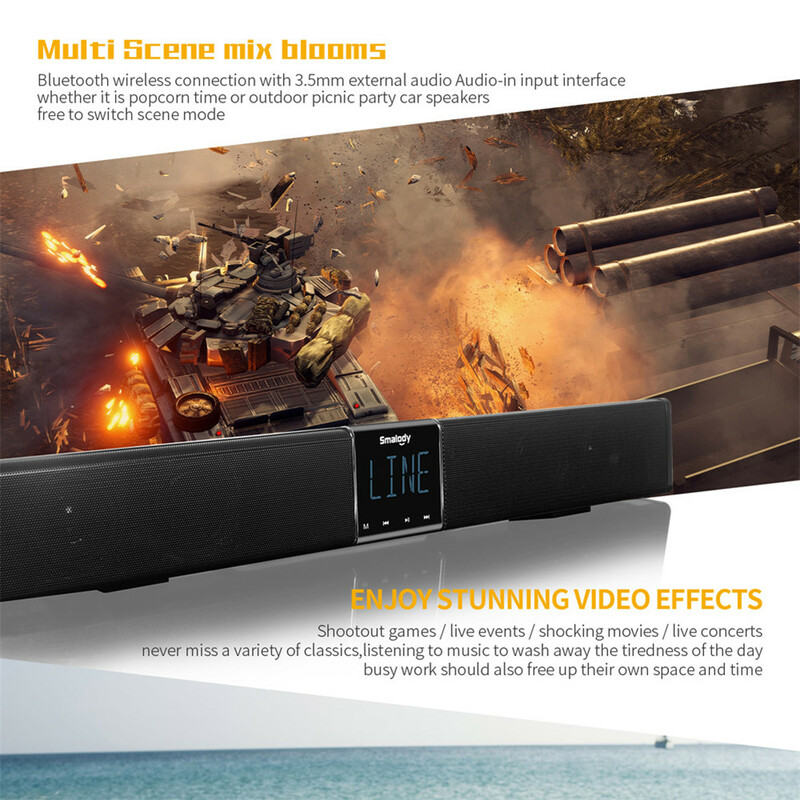 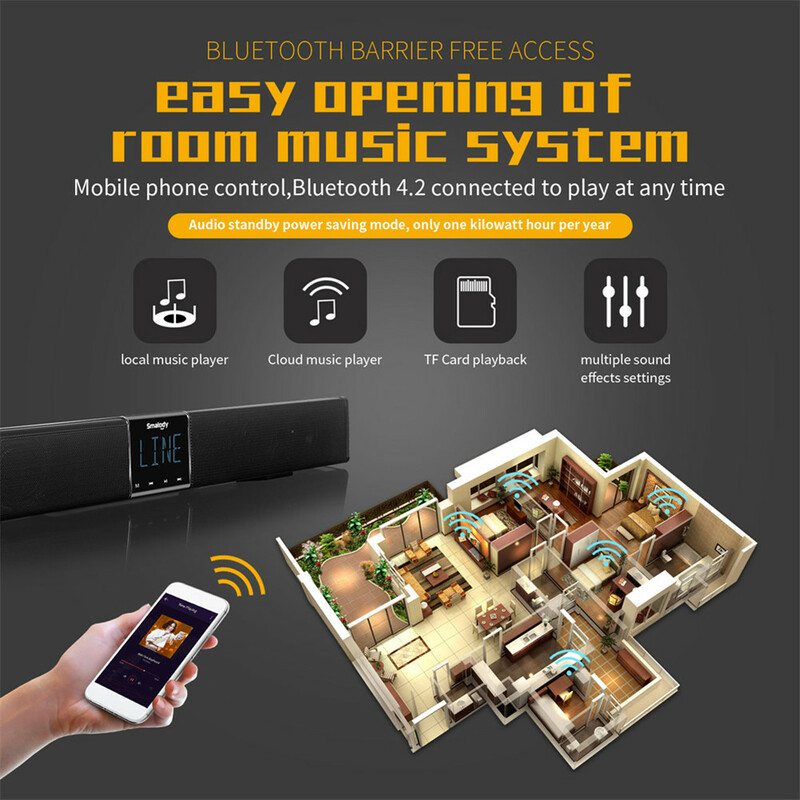 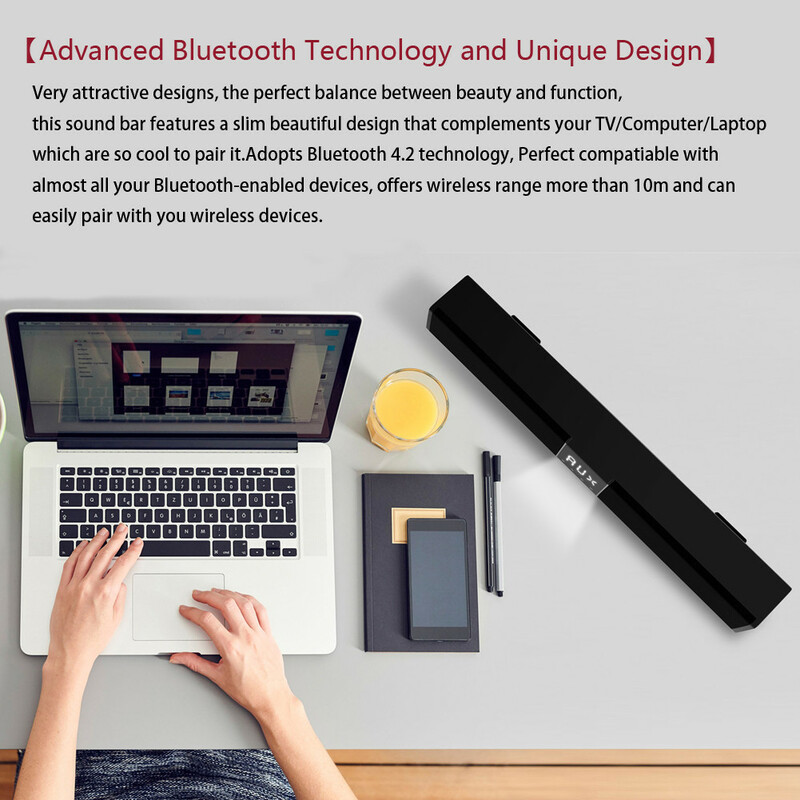 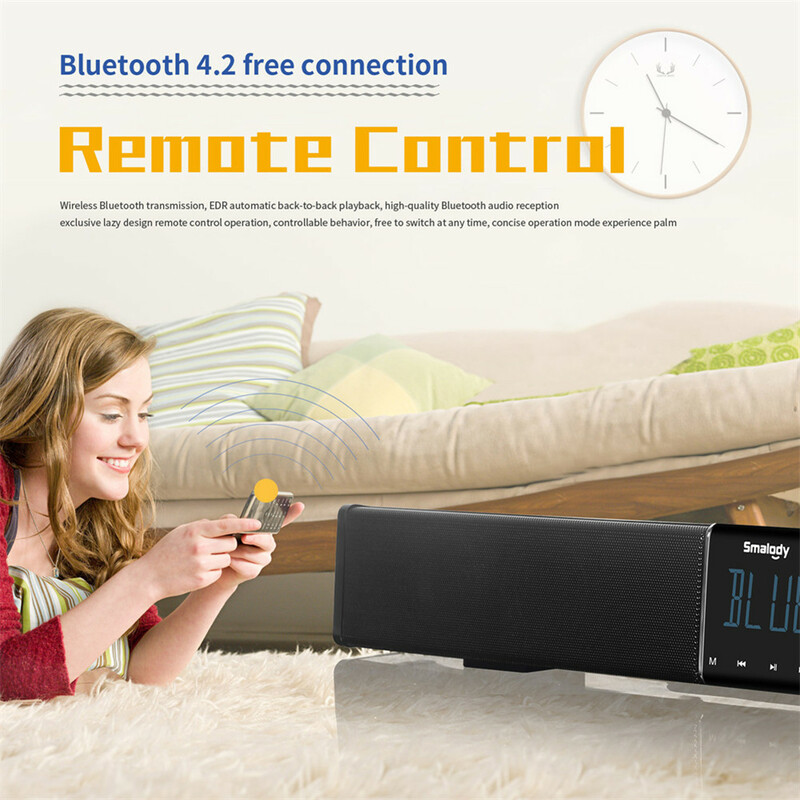 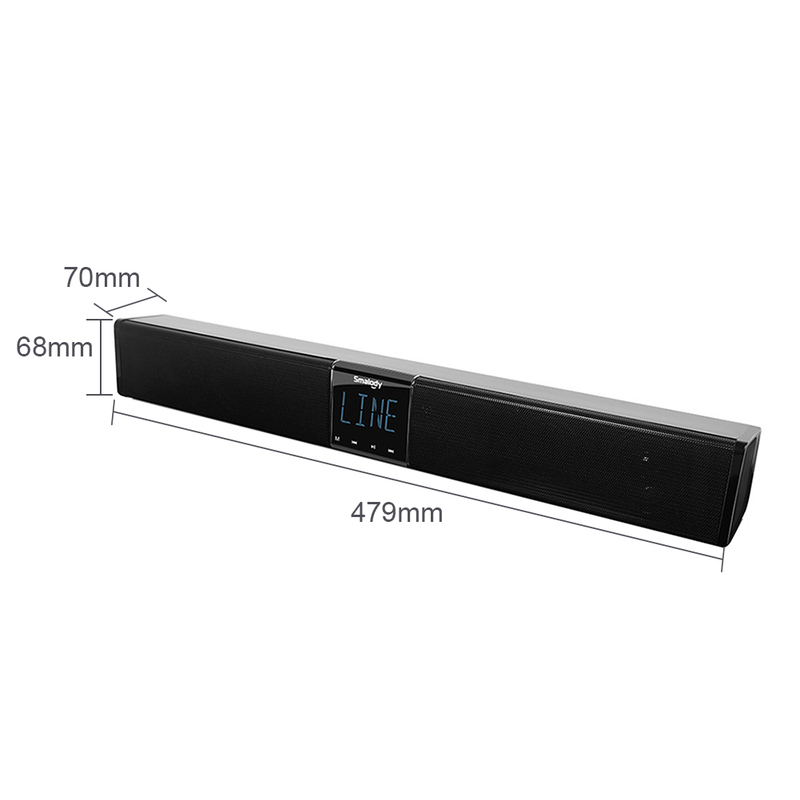 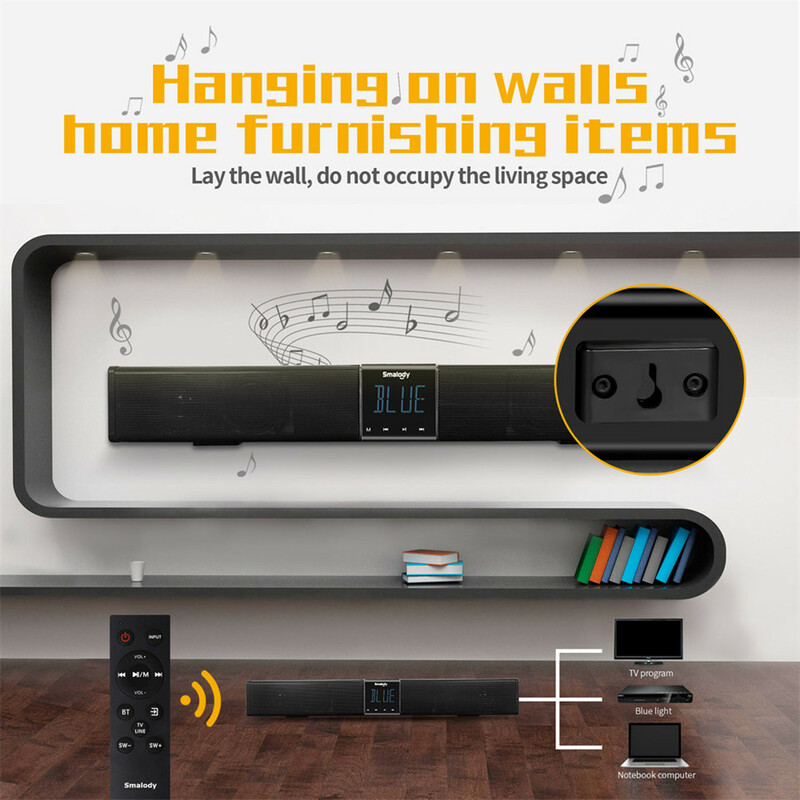 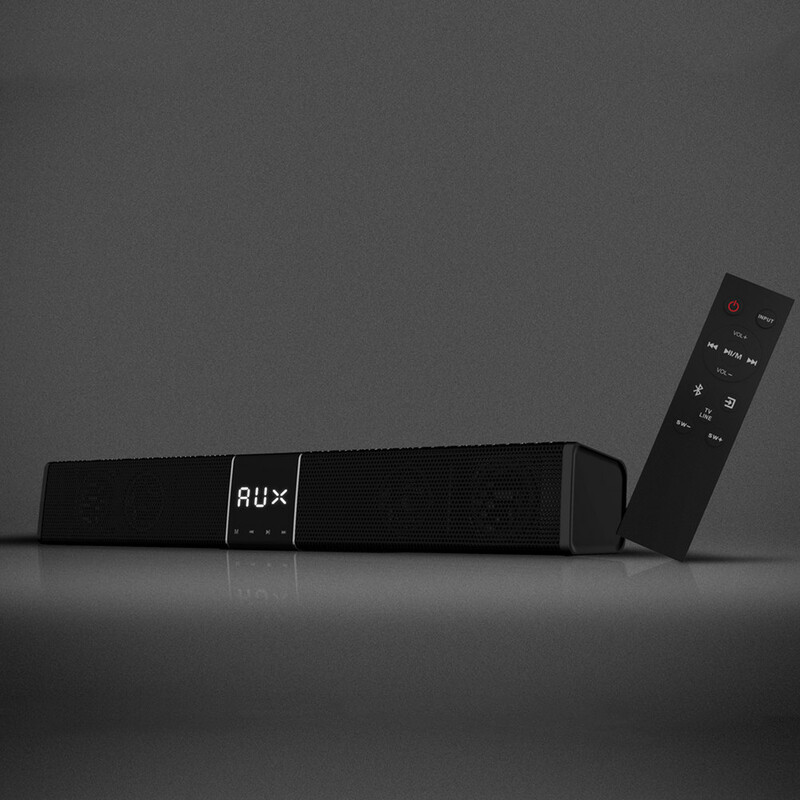 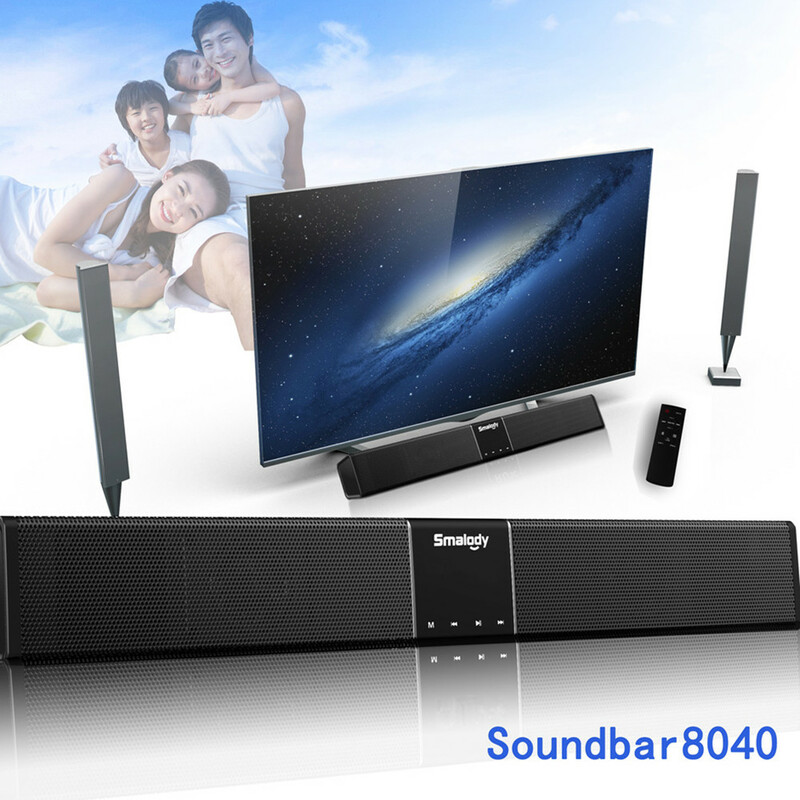 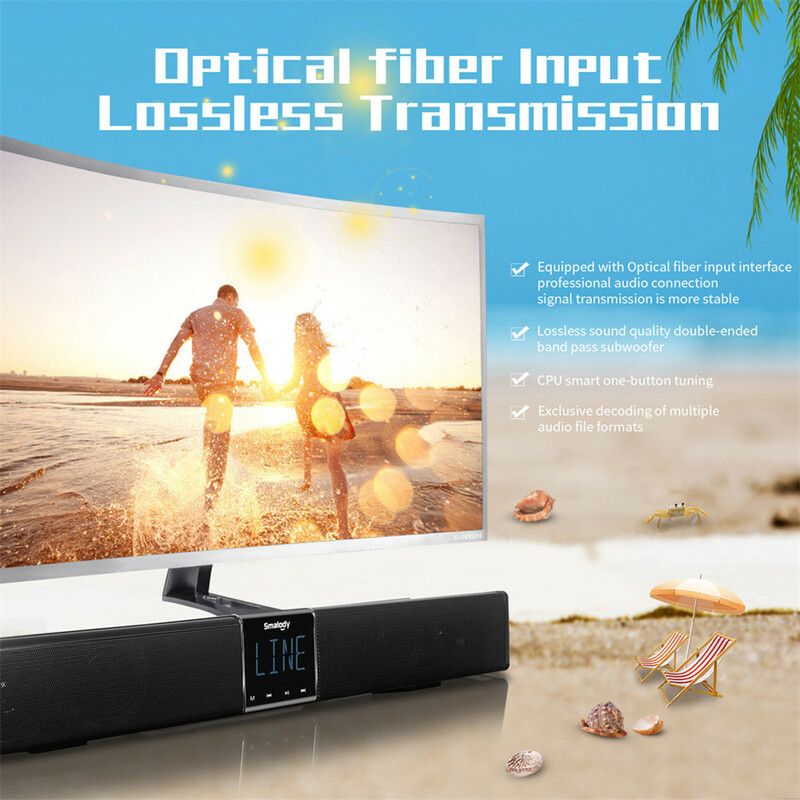 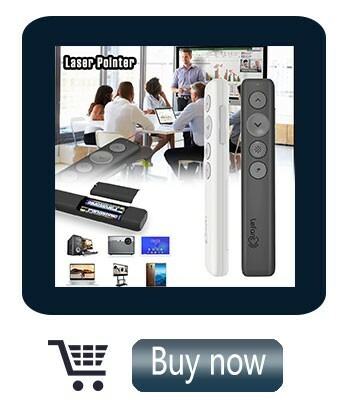 Very attractive designs, the perfect balance between beauty and function, this sound bar features a slim beautiful design that complements your TV/Computer/Laptop which are so cool to pair it.Adopts Bluetooth 4.2 technology, supports almost all Bluetooth-enabled devices, offers wireless range more than 10m and can easily pair with you wireless devices. 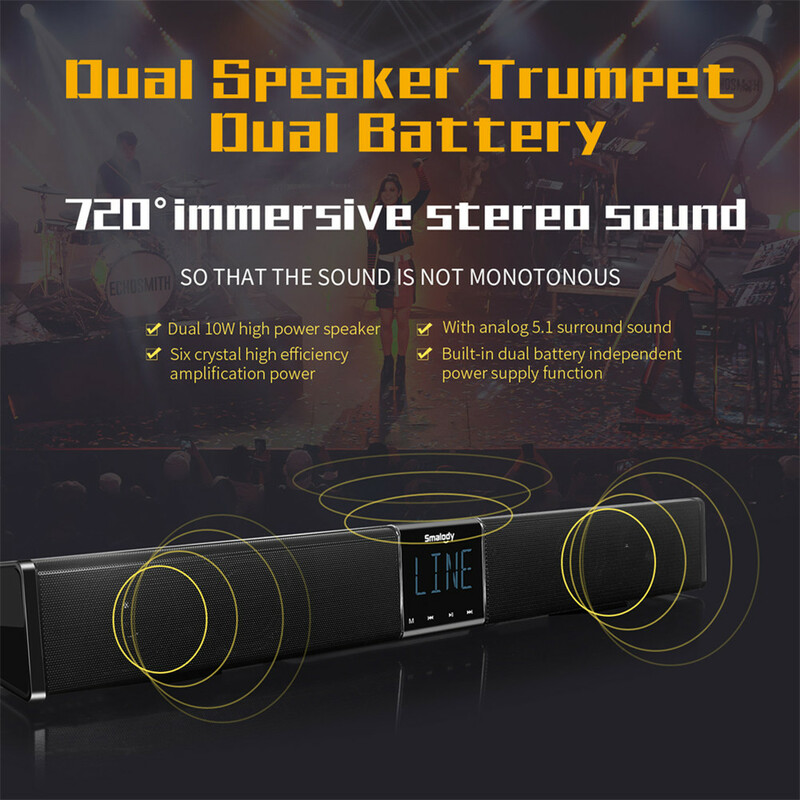 Dual 10W speakers for high performance multi-dimensional sound and an unparalleled cinematic deep bass surround sound; let you enjoy high-quality music. 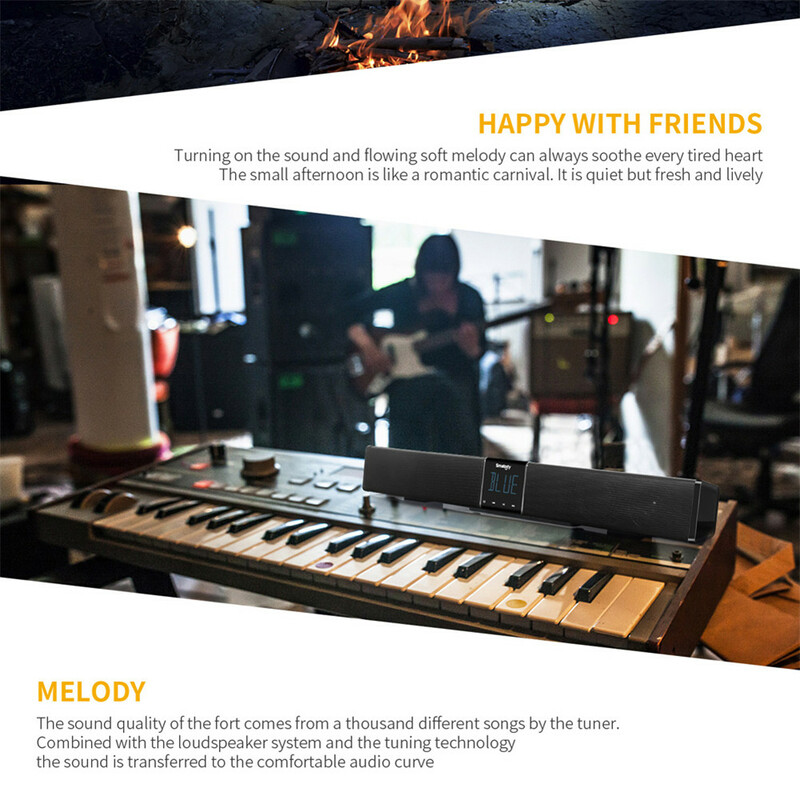 Sound level strong sense, outdoor bass sonorous and powerful speakers to create an immersive sound field effect. 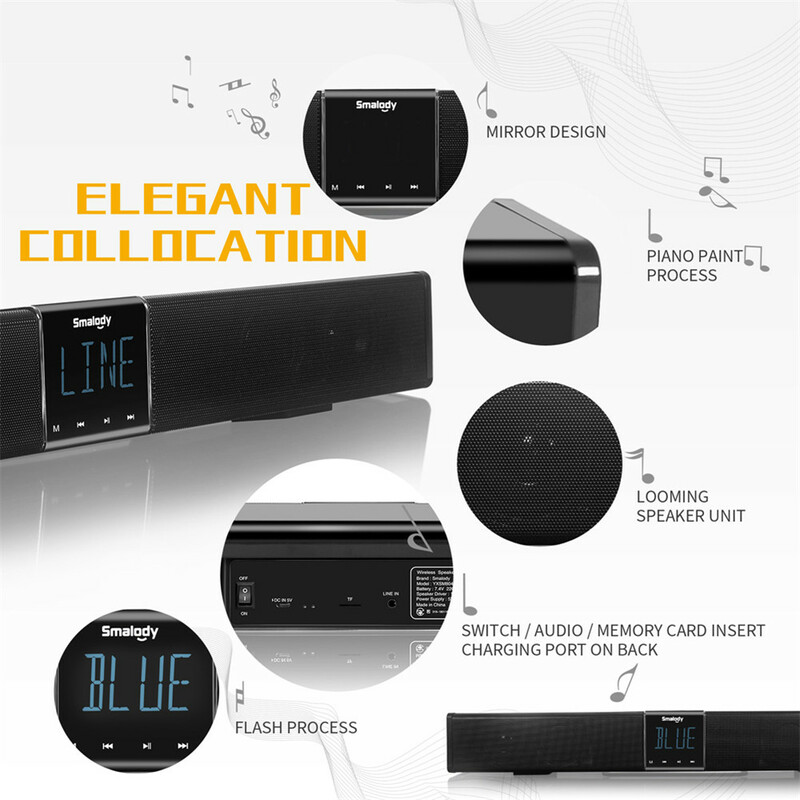 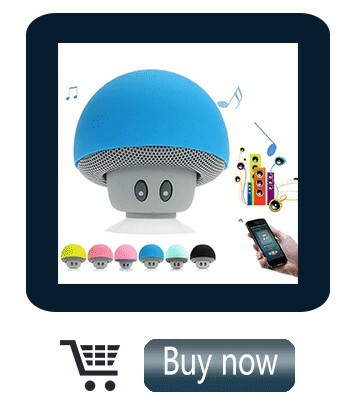 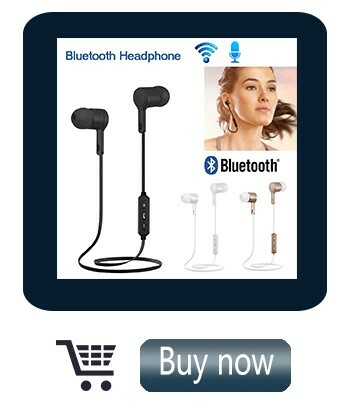 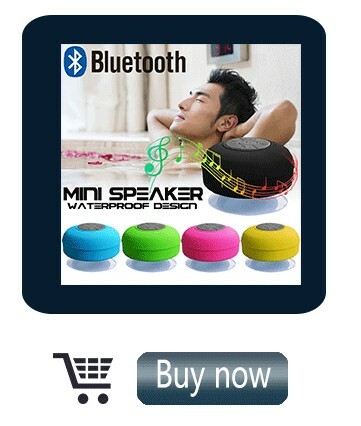 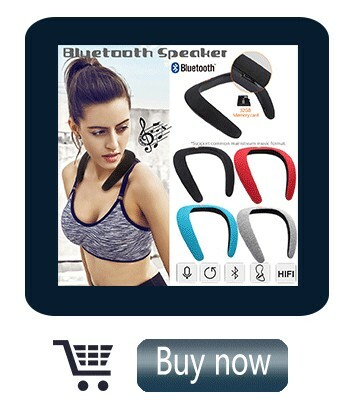 Supports 3.5mm audio input for the devices without Bluetooth function, TF card music play and hands-free calling. 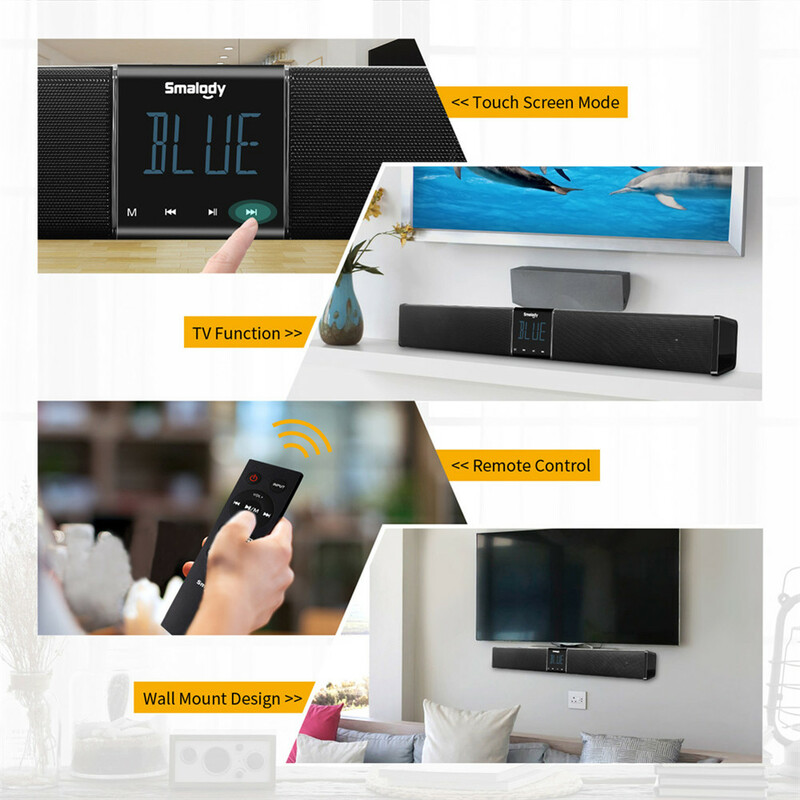 With remote function, it can be operated conveniently. 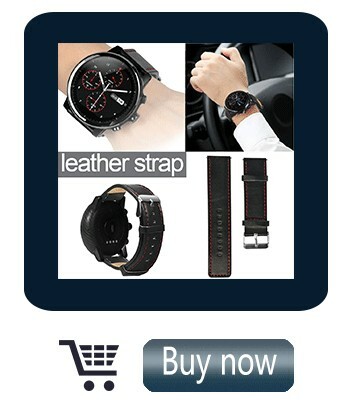 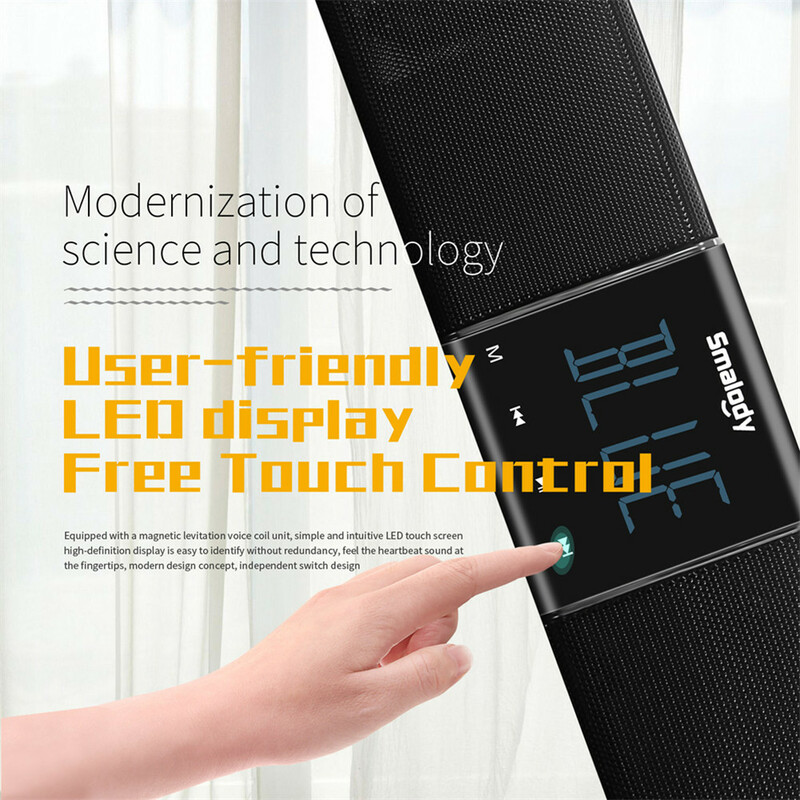 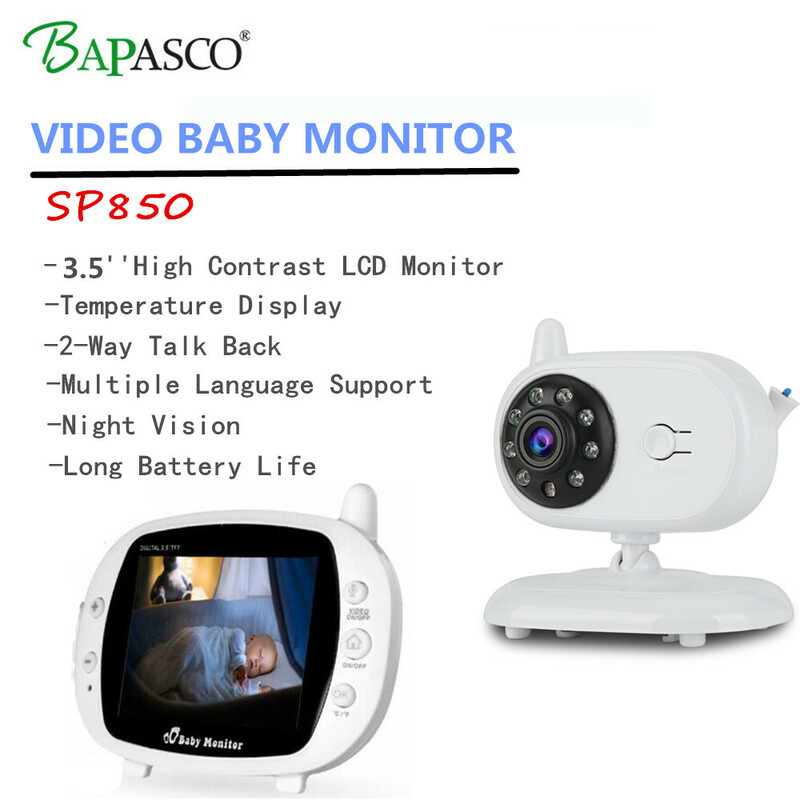 Equipped with LCD Display, you can check the working condition any time. 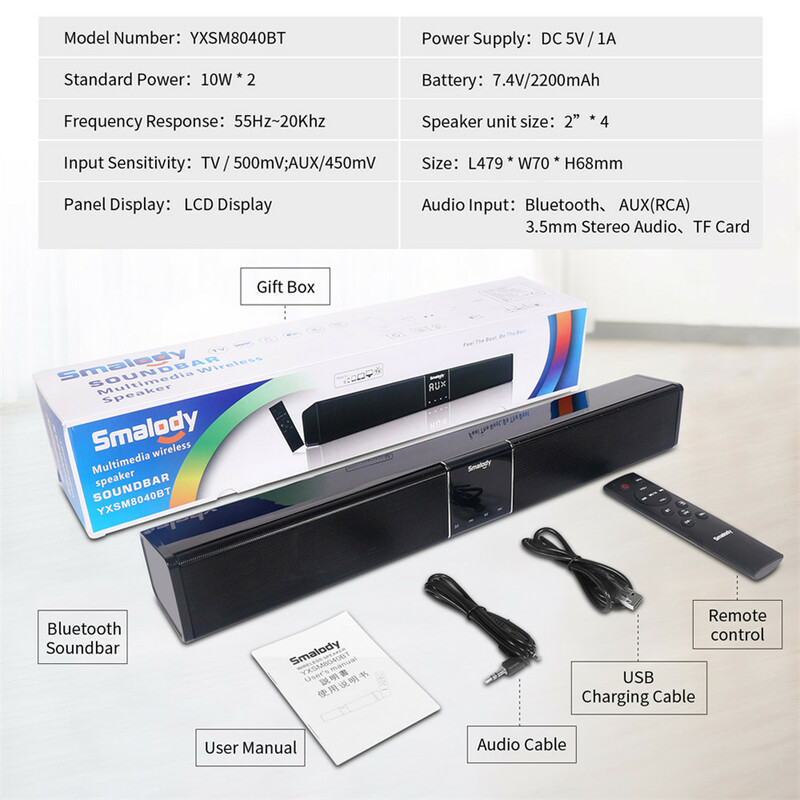 Perfectly match for your TV to turn it into a complete entertainment system, especially best for home theater, enjoy the great and warm time with your family. 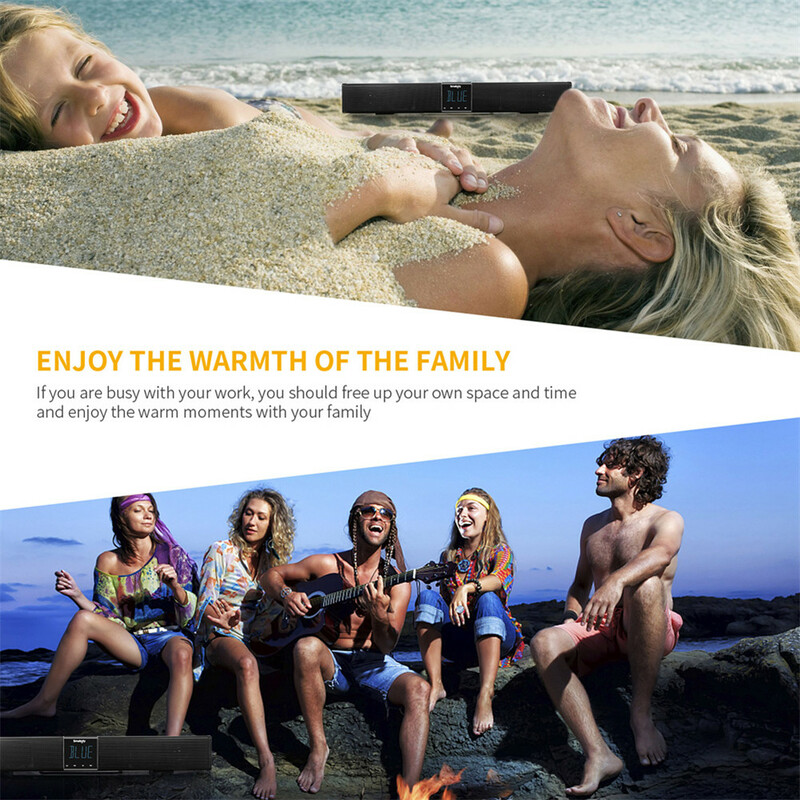 Built-in rechargeable double 2200mAh*2 batteries provides up to 5 hours of playtime, 10 hours of talking time.